The production of World Fair Trade Tartan in Cambodia has begun after it was presented last 13 May 2017 during the World Fair Trade Day. Eve Broadis of Fair Trade Scotland Limited visited the workshop site and meet the artisans of Villageworks Songkhem, guaranteed Fair Trade Organisation, that manufactures the tartan. The World Fair Trade tartan has been created to celebrate Scotland’s Fair Trade Nation status and presented to President WFTO Rudi Dalvai and Scottish International Minister Dr. Alasdair Allan for World Fair Trade Day, 13 May 2017. 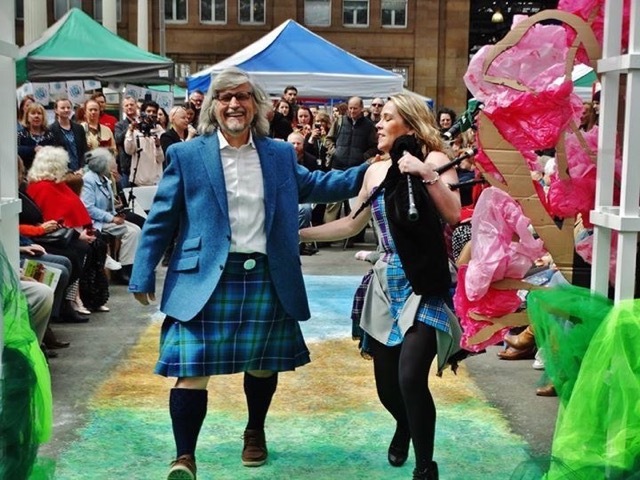 World Fair Trade Tartan has been registered by the Keeper of the Scottish Tartans Register idea of Tania Pramschufer of Hand Up Events an ethical events company based in Scotland. Working with House of Edgar who helped the design come to life, our inspiration of distinctive Fair Trade colours of green and blue replicated in the woven design to reflect WFTO logo and the tartan to support the 10 principles and to serve WFTO members across the globe. Since the launch of the tartan, just over a month ago, samples of the tartan taken by Eve Broadis from Fair Trade Scotland to Cambodia to show the design and to see if could be replicated, well it could and is now being woven by Anak Norm, Director Villageworks and her awesome team of master weavers. 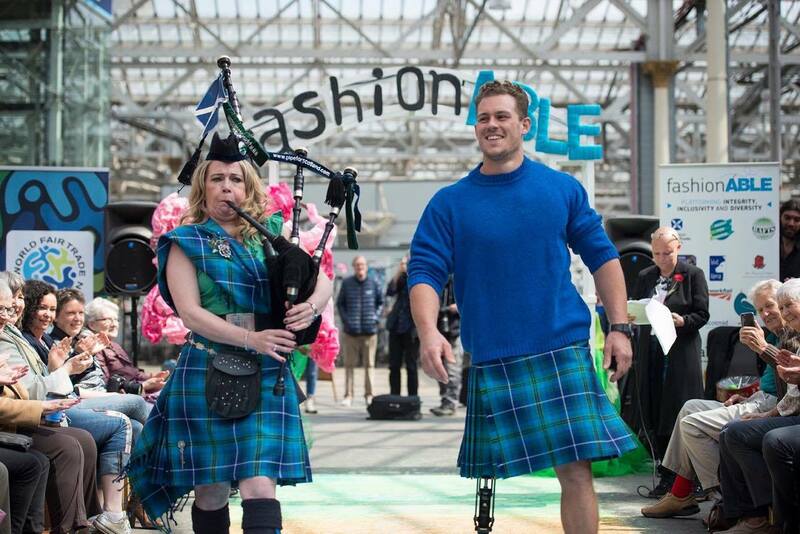 The World Fair Trade Tartan was launched during the World Fair Trade Day, 13 May 2017. Right photo shows WFTO President Rudi Dalvai wearing the tartan. The tartan has very specific colours and design, that this is now available to WFTO members to weave into the tartan and then into products that can then be marketed across the globe. Particular interest from UK, US, Canada, Australia and new Zealand but that before long this tartan woven by WFTO members and then made into products by WFTO members will keep 100% profits and we hope to be able to retail in shops around the world. Already, there is a meeting with The Scottish Government taking place soon, they are interested to see how they can support the tartan and today Network Rail, a UK rail operator have requested an order for thirty ties for their rail staff, this is great news!